“Mom, please just give me a course I can actually USE in my life!” Sound familiar?? Do you want your child to be self-sufficient when he or she reaches adulthood? Do you want your student to avoid some of the financial mistakes common to our society? 7Sisters’ Financial Literacy high school curriculum is just what you need! 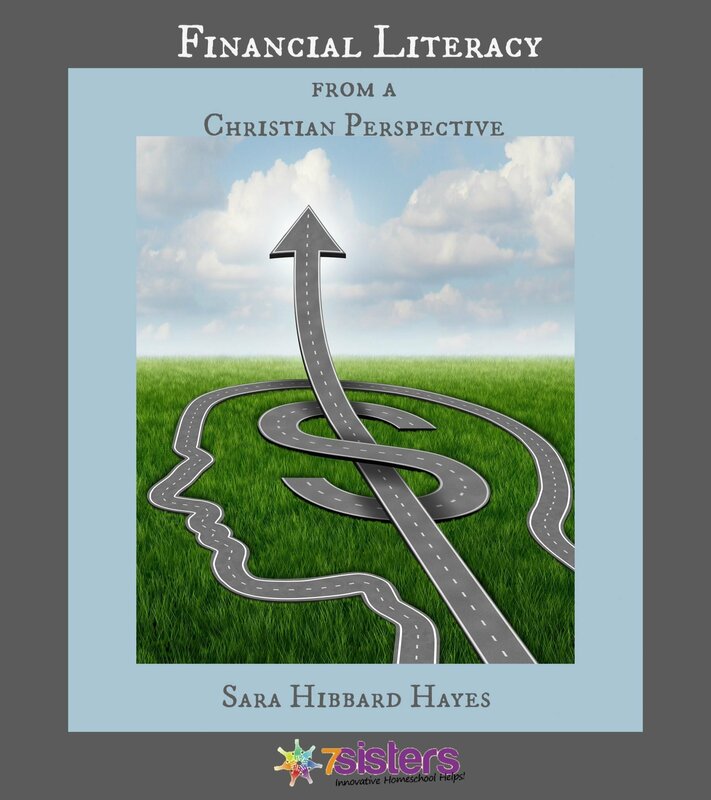 Financial Literacy from a Christian Perspective by Sara Hibbard Hayes is designed to introduce teens to the world of personal finance through textbook instruction, online articles and videos, interactive exercises, and more! Students are encouraged to immediately apply some of the concepts they learn and are introduced to other financial topics which will become a part of their lives in just a few short years. Included in each chapter is a focus on God-honoring attitudes and practices. Additionally, parents are given the opportunity to share their knowledge, experience, and tips on financial matters via numerous assignments throughout the book. Why settle for Consumer Math when a Financial Literacy high school curriculum prepares your teen for LIFE? This practical guide to understanding personal finance is easy to use, fun, and written at a college-prep level. Instructions are included to tailor the course to any of these levels: average high school, college prep, advanced, or honors. Financial Literacy from a Christian Perspective may be completed independently by a homeschooling high school teen or with parental involvement. It has also been successfully used in a classroom/group setting. This financial literacy high school curriculum can be completed to fulfill the consumer math/financial literacy (math credit) required by some states. Financial Literacy from a Christian Perspective, a one-credit high school e-text, is downloaded via four .pdf files. Links are updated periodically and available as a free download from the 7Sisters ebookstore. Click here to view the Table of Contents and How to Use This Book. Click here to view an excerpt from the text. Click here to view a sample Worksheet and Worksheet Answer Key. Click here to view a sample Study Sheet and Test.